Covering only two square miles, Falls Church is the smallest independent city by area in Virginia. However, its proximity to Washington, its rich culture, and its consistently high national rankings for education and annual median income make Falls Church a desirable community for DC commuters. Though headquartered in Maryland, Thompson Creek Window Company® has served Falls Church for 38 years. Our strong reputation throughout the DC metro region creates trust among Falls Church homeowners and makes us the company they call when it’s time to choose replacement windows and doors that add beauty, value, and value to their homes. Falls Church homeowners have no shortage of experience with biting winter winds and sweltering humidity spells. That’s why Thompson Creek® doors are specially designed to keep you comfortable when inside your home. Our replacement doors exceed 2018’s ENERGY STAR® standards, helping to raise your home’s energy efficiency and lower your utility bills. Furthermore, if you’re thinking about selling your home in the future, steel-entry door replacement provides a 101.3% return on the cost. All of our doors are custom designed to fit your home’s style and specifications. We use only top-quality materials for Thompson Creek® doors – from 20-gauge steel to polyurethane cores and rot-resistant wood frames – designed to weather whatever Mother Nature throws our way. 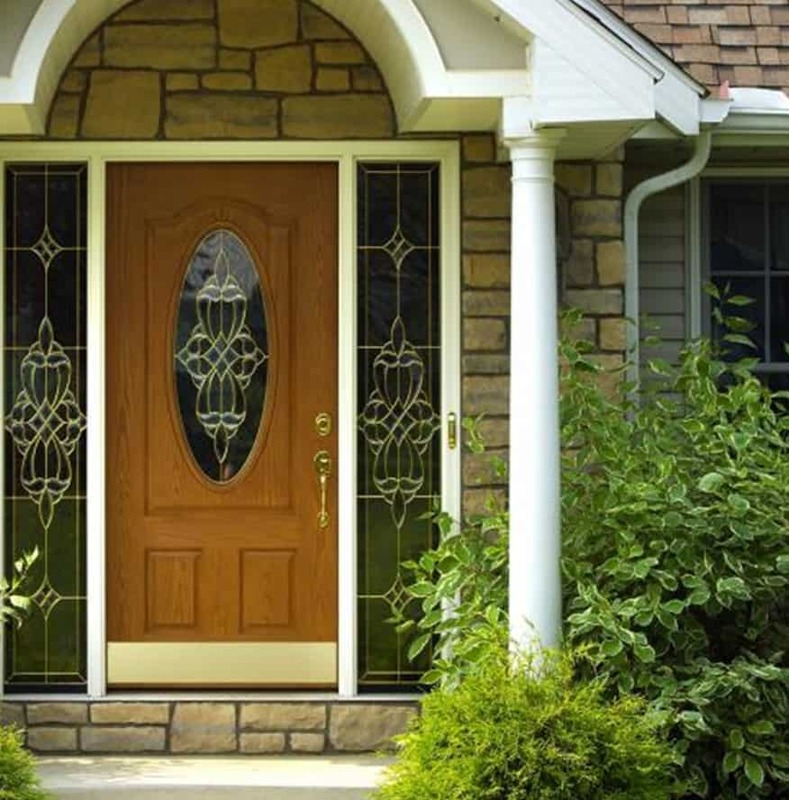 Our doors also come in a variety of colors, panels, and patterns, so you’ll be able to find a unique style that matches your Falls Church home’s aesthetic theme. Choose from entry doors, to sliding glass doors, or French doors to improve your Falls Church home. The wide range of weather that Falls Church residents experience throughout the year calls for windows that can battle the heat and humidity of summer, the freezing temperatures of winter, and the gusting winds that seem to arrive when we least expect. Just like our doors, Thompson Creek® windows exceed 2018’s ENERGY STAR® criteria, and even further, they can withstand winds of up to 146 miles per hour. All of our windows are built in our Maryland factory. We offer a wide variety of options to accommodate any type of home and any aesthetic preferences. And installation is worry-free: Since Thompson Creek® windows are custom-made to fit your home, our factory experts will install your windows without disturbing your home’s exterior. By keeping everything in-house, we control the entire process and you won’t pay the middleman markup. A new roof with proper ventilation is also an energy efficient roof. Thompson Creek roofs are designed with ventilation in mind. Saving the life of your home and health of you and your family. Our six layers of protection moves precipitation away from your home, while our Cobra ventilation system removes excess heat and moisture out of your attic. Contact us today for a free assessment, and quote for your Falls Church roofing project.